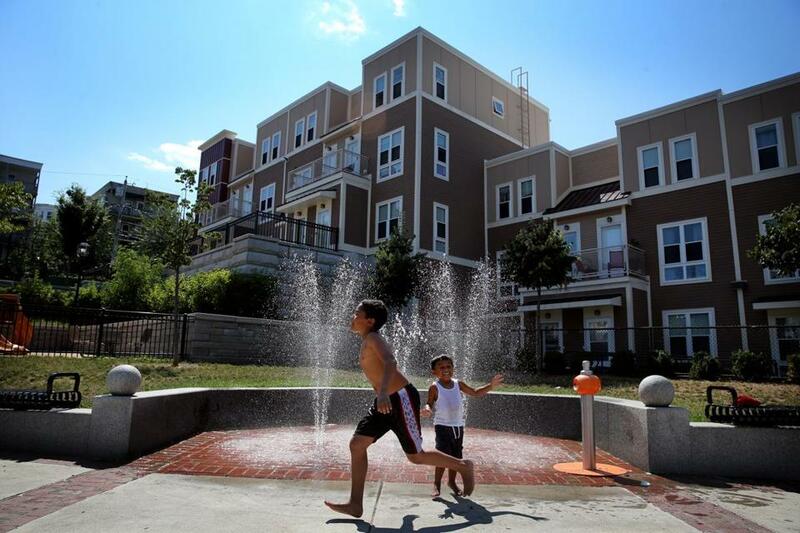 Children played in a fountain in the Box District, a newly redeveloped area near Bellingham Square in Chelsea. CHELSEA — It’s just after 9 a.m. in Bellingham Square. A woman in a pink sweatshirt, bent over at the waist, sways back and forth in the middle of McDonald’s, pausing her drug-induced dance to zero in on a ketchup packet before lurching out the door. No one pays much attention; it’s a common scene here in the heart of downtown Chelsea, a magnet for addicts, alcoholics, prostitutes, and the homeless. As workers hand burgers and fries across the counter at McDonald’s, small-time dealers, huddling at the tables, pass heroin to customers and sell prescription pills out of Ziploc bags. A few blocks away, Suffolk University student Vans Ash is settling into his studio apartment in the recently redeveloped Box District, a cluster of apartment buildings named for the cardboard boxes once manufactured there. Ash knows that his $1,400-a-month rent is far below what he would pay in Boston for a place with granite countertops and a heated parking garage. But when the lease is up, he said, he’s leaving. Development is booming in Chelsea as people seek affordable living close to Boston, but, as the scene in Bellingham Square shows, revitalizing a community requires far more than rehabbing mill buildings and opening coffee shops. As Chelsea transforms, it is confronting the challenges that have faced so many other gentrifying cities: What happens to the people who were there before the area became trendy? Comparing Chelsea to the state. In Bellingham Square, it is a particularly daunting question. Over decades of decline, the once-thriving commercial district has become home to entrenched poverty and the social problems that accompany it, a neighborhood of rooming houses and units for formerly homeless veterans, with a methadone clinic nearby. Buses connect here, bringing people from around the city, some seeking help for their addictions, others looking to feed them. Day laborers, many of them immigrants, wait for pickup trucks and vans that might bring them work and wages. Restaurant owner Melissa Vo said she worries about the city’s ability to retain the new residents moving in. Chelsea has come a long way since corruption and financial mismanagement prompted a state takeover in 1991. Crime is down. Job growth has outpaced the statewide average, according to the Federal Reserve Bank of Boston, and new development is popping up all over. An FBI regional headquarters and connections to the Silver Line are in the works. New apartment buildings, hotels, and a relocated commuter rail station are also on the horizon. For the past two decades, Chelsea, located across the Tobin Bridge from Boston, has developed from the outside in — a purposeful attempt to revitalize the city in visible areas, such as along Route 1, said Jay Ash, the longtime city manager before he was appointed last year to run the state’s Executive Office of Housing and Economic Development. The idea was to attract new residents who would spur demand for more upscale restaurants and shops downtown, said Ash, who is not related to Vans Ash. People killing time there — such as a group of men passing a bottle back and forth on the sidewalk on a recent day — would find somewhere else to go. The first part of that strategy is working. New residents who might never have thought of living in Chelsea in the past have started streaming in. 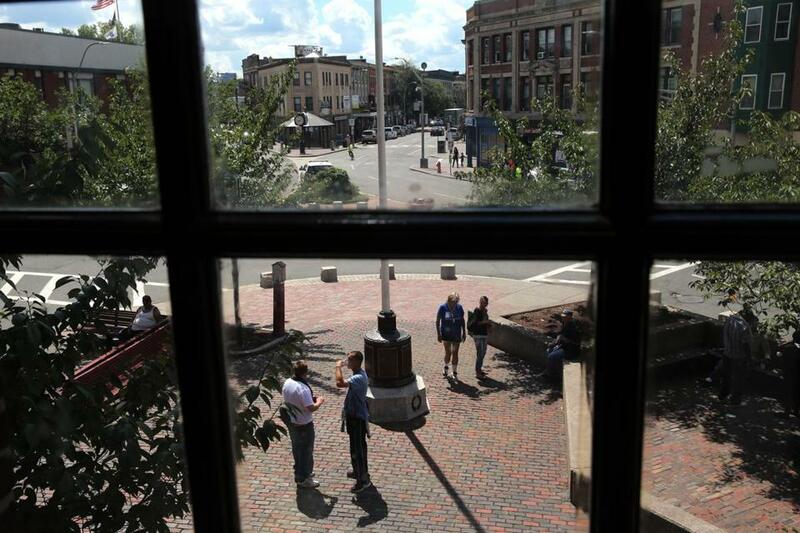 Businesses have followed, including Market Basket, Starbucks, and a Five Guys burger joint. 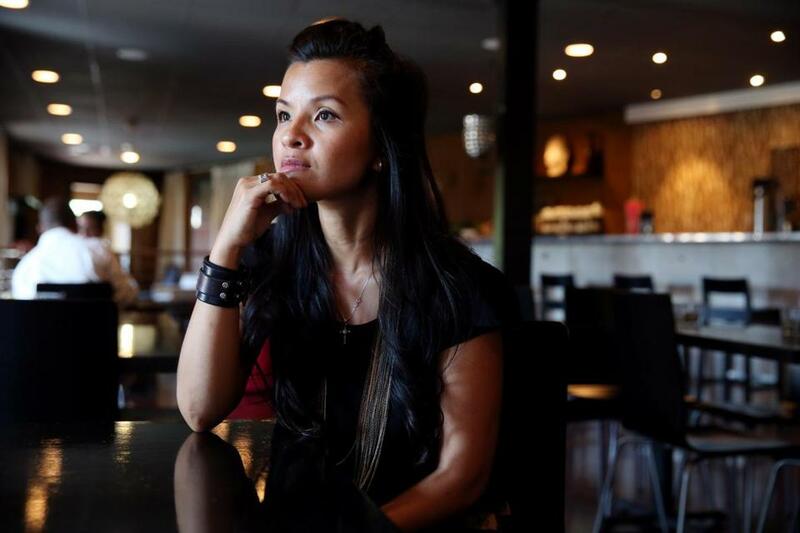 Six years ago, Melissa Vo opened a Thai-Vietnamese takeout joint, Fusion Foods, just up Broadway from the square and soon added a chic second-floor dining room. But she worries that the “yuppies” who have helped her business grow won’t stay. One couple who came to her restaurant fled to Charlestown after their car was broken into and they spotted used needles while out walking their dog. “The problem is not bringing them in; the problem is keeping them here,” Vo said. At the same time, new development and demand for housing is driving up prices, adding to the struggles of lower-income residents. Chelsea is one of the poorest cities in Massachusetts, with nearly a quarter of its 39,000 residents living in poverty, almost double the statewide level. A year ago, one-bedrooms were readily available for $900 a month, Chelsea real estate agent Madelyn Garcia said. Today, the cheapest one-bedroom on the market rents for $1,200. In the area known as Admiral’s Hill, with views of the Boston skyline, studios run as high as $1,800. Bellingham Square (above) is framed by City Hall on one side and a branch of Bunker Hill Community College on the other. The new prosperity has largely bypassed Bellingham Square. The neighborhood is a confluence of discount stores, dental offices, and ethnic markets, framed by City Hall on one side and a branch of Bunker Hill Community Collegecq on another — and, often, a cop parked in the middle on Broadway. “Bellingham Square has always been the center of the universe in Chelsea,” said Jay Ash, who grew up a few blocks away. The square was a family-friendly place in the 1960s and ’70s, longtime residents say, filled with teenagers getting pizza and people shopping for suits and dresses. But like many downtowns, the square suffered when malls started siphoning off businesses and shoppers. Immigrant-owned businesses popped up, selling goods to a mostly lower-income population. Gangs and drug dealers also stepped into the void, and the rise of heroin brought a flood of addicts with it. Many say the nearby methadone clinic, which serves nearly 700 patients a day, adds to the number of people milling about in the square. Police respond to almost twice as many calls in the area around the square — nearly 26,000 last year — as they do in the other three sectors of Chelsea combined. Last year, there were 138 drug-related arrests in the neighborhood, accounting for 60 percent of the city’s total. In Bellingham Square alone, there were approximately 45 overdoses last year, up from 17 in 2014. Several citywide partnerships of police, city officials, nonprofits, and health care providers are working to revitalize the square, hoping to attract more shoppers and fewer drug users. 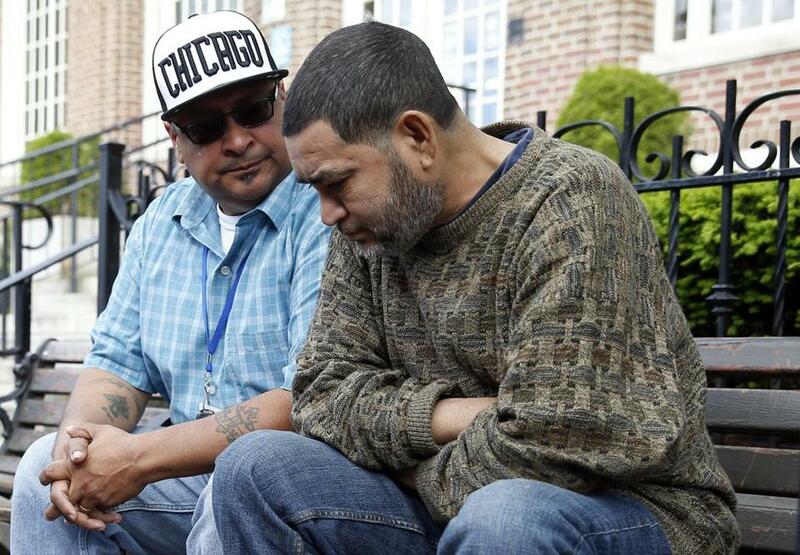 The groups’ efforts resulted in an increased police presence and the hiring of two outreach workers, called navigators, to connect struggling residents with substance abuse treatment and other social services. The city recently kicked in an additional $200,000 in funds to provide emergency food, shelter, and clinical services for those in need and make placements in area detox facilities. Support is also growing for a drop-in resource center near the square, where people can take a shower, make a phone call, and learn about services. 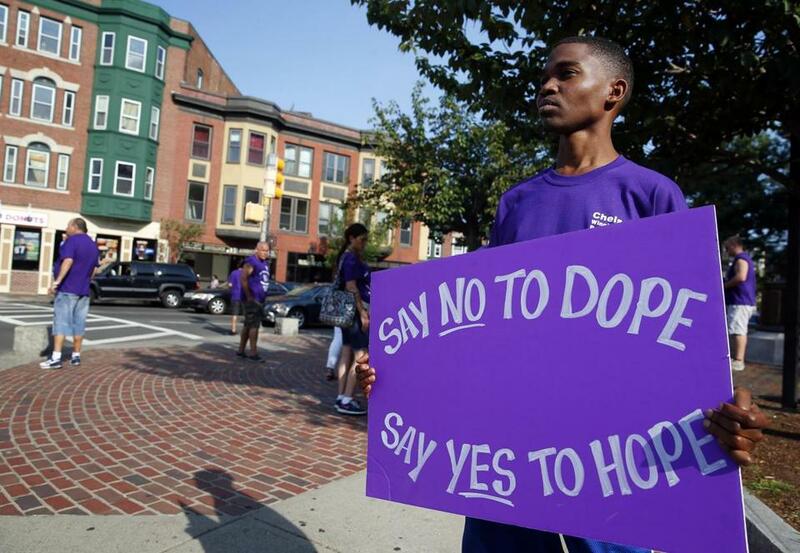 Catching up with the opioid epidemic is impossible, said Ronnie Springer, vice president of addiction services at Bay Cove Human Services, a Boston nonprofit that offers services in Chelsea. But the recent influx of attention to it is a start. Outreach worker Ruben Rodriguez (left) teared up as he talks to a man in Bellingham Square about his struggles with alcohol. One of the outreach workers is Ruben Rodriguez, a former drug addict turned missionary who first saw the need when he was handing out Bible tracts in the square. Soon he was bringing vanloads of donated food from Trader Joe’s, learning of people’s woes as they stood in line for basil pesto sausages and Belgian endive. Now he talks to alcoholics and drug addicts about getting sober, accompanies people to court, and takes suicidal residents to the hospital. “It’s really out of control,” he said. In the past 18 months, Rodriguez said, he has identified more than 100 people in need of help in the square — but he often has nowhere to send them. At McDonald’s, which serves as a makeshift office, Rodriguez ticked off the familiar faces. A man with a shaved head and a backpack near the window — dealer. A group of women with sunken cheeks gathered around a table — methadone users. A man in a Red Sox shirt, a woman with hunched shoulders and a pockmarked face, a woman outside leaning on the trash cans. Addict. Addict. Addict. Outside, “All-America City” banners fluttered in the breeze. Thomas Ambrosino, the new city manager in Chelsea, said alcoholics and drug addicts make up a small percentage of the people in the square but have a major impact on the city’s image. 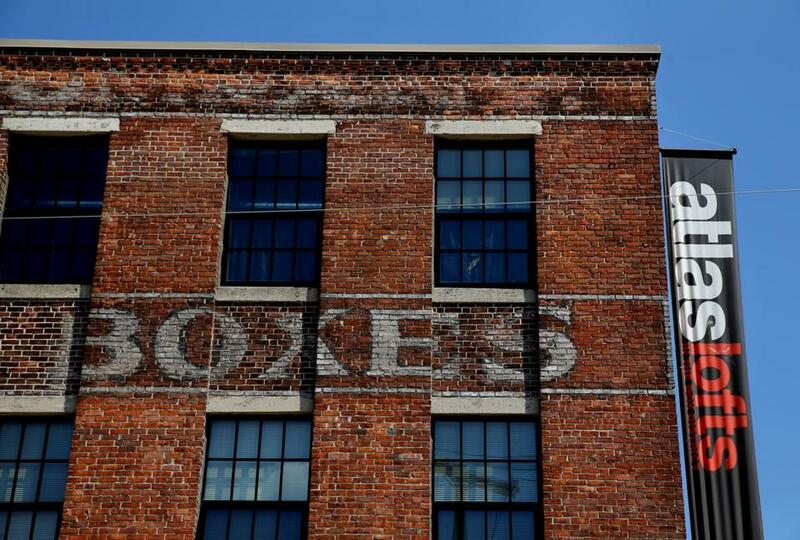 Atlas Lofts is in Chelsea’s recently redeveloped Box District, a cluster of apartment buildings named for the cardboard boxes once manufactured there. To spur more healthy activity in Bellingham Square, the city hired a landscape architect, who suggested relocating crosswalks to make the area safer for pedestrians and moving bus stops to alleviate the crowds of people milling around. Street cleaning and property maintenance have become bigger priorities. A council of downtown business owners is forming to improve the shopping district, including a pledge to sweep outside their storefronts every day. A pilot program is underway in the city to better coordinate substance abuse recovery and other social services. The square is much safer than it was in the ’80s and ’90s, noted Damian Szary, who grew up nearby and is now developing high-end apartments just a few blocks from the McDonald’s. Szary said the first phase of his One North of Boston complex, with 230 units topping out at $3,200 a month, on-site dog daycare, and free Starbucks in the lobby, has been at capacity since it opened in 2014. A second phase, with a spin studio and basketball court, is near completion. Szary said his development group was able to look past the square’s undesirable elements because of the city’s incredible growth, and he is confident it will continue to improve. Not all feel the same. Several One North residents, including a recent graduate of the Massachusetts College of Art and Design and a restaurant worker in Boston, said they never go to Bellingham Square. A few months ago, one resident, Max Schwartz, said he and his wife could see drug deals taking place outside their window. Faisal Yerow joined people from a treatment center to raise awareness about drug addiction, a major issue around Bellingham Square.